The Fort Morgan Police Department has been researching the history of the department for several years. There is quite a bit of information that can be learned from former officers, historic city council minutes, and articles in the Fort Morgan Times. This is an ongoing process, so please check back for updates. 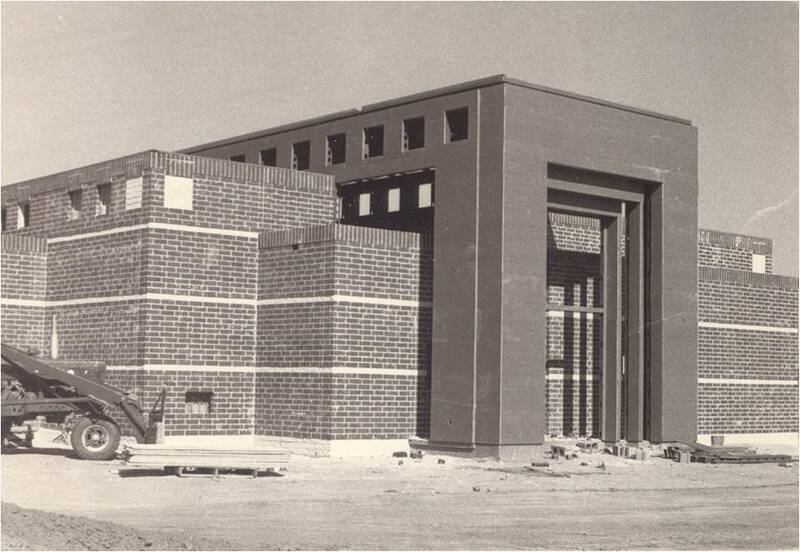 This picture of the Fort Morgan Police Department was taken between 1950 and 1955. The department only had 8 certified officers at the time. Homer Morse, center was the Chief of Police for approximately from 1938 to 1958, and from 1960-1962, making him the longest serving Chief of Police for the City of Fort Morgan.